Is it possible that dogs are wonderful teachers of mindfulness practice? According to psychologist Jonathan Kaplan dogs demonstrate an enviable level of concentration and focus on the present moment, and emulating these characteristics can help us feel more grounded and joyful, and less stressed. "Urban Mindfulness" author Jonathan Kaplan, Ph.D., explains how dogs can help us focus on the present moment. 1. Hang out with your dog. Spend some time following their lead. This might simply mean lying next to them on the sofa, playing endless rounds of fetch, or taking an extra walk round the block. See if you can get in touch with some of the sensual aspects of the present moment your pet might be experiencing (for example, temperature, sound, lightness or darkness, and so on). 2. Watch how your dog interacts with the present moment. Does your dog seem to be experiencing something pleasant, unpleasant, or neutral? What behaviors or expressions do you notice that lead you to this conclusion? What is your own experience of this moment? Are you having a similar reaction or a completely different one? To what degree does what’s going through your mind influence your experience, as opposed to what’s actually happening in the world around you? 3. Ask yourself, “What would Doggy do?” How would your dog respond to this situation? You might anticipate reactions like barking, growling, or tail wagging. Alternatively, you might expect a cocked ear or a bewildered stare. The idea isn’t to embody or mimic this reaction (can you imagine growling in a crowded restaurant?) but simply to consider a different response from your usual automatic programming. And if the image of your dog’s reaction merely brings a smile to your face, all the better. 4. Notice how your dog’s actions push your buttons. While pets might be free from judging and striving, we’re not. Doggy overturning his dish of kibble while you’re running late will likely spark feelings of anger and contempt rather than compassion. Try to bring awareness to how and when your emotions get triggered when your dog behaves in ways you dislike. Some Zen parables recount how disciples became enlightened after being hit on the head or slapped in the face by the top priest. So maybe you’re just one “bad dog!” moment away from achieving nirvana yourself! Observing your dog isn't the only opportunity to experience mindfulness during your day, says Kaplan. 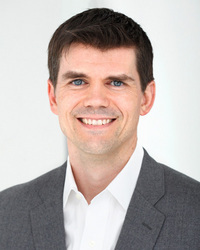 His book "Urban Mindfulness" provides practical advice for transforming everyday experiences into opportunities for contemplation, stress relief, and fulfillment. And a little mindfulness can go a long way. "Research has shown that mindfulness is effective in reducing anxiety, chronic pain, and relapse of depression, while also promoting recovery from illness." 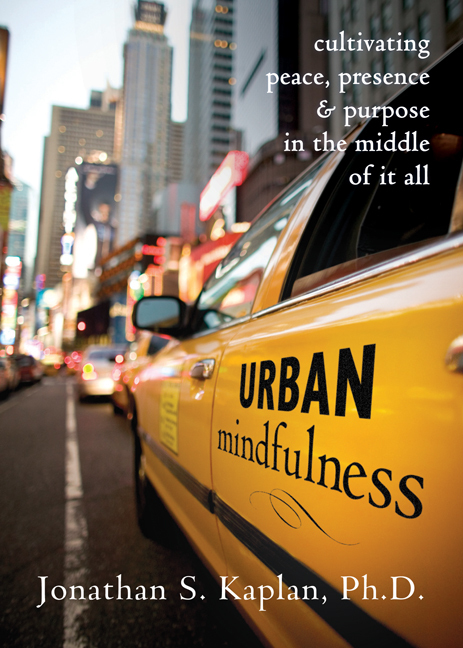 Jonathan Kaplan's book "Urban Mindfulness" offers suggestions on how to experience mindful moments in the middle of everyday experiences.